And we’re live! Sincere apologies for the delayed publish on this week’s PlayStation Store Update; we faced some technical issues that prevented us from getting all of this week’s content in place by our usual 2:00PM Pacific timing. We are grateful for your patience, and we can’t wait until you get your hands on some of this week’s amazing new titles, like TowerFall Ascension and Dark Souls II. Game on! Set in 1975, Naked Snake (aka “Big Boss”) is tasked to infiltrate a site on Cuban soil. On a mission to extract long-lost allies being held hostage and interrogated by a shadow military group among other objectives, Snake must use stealth and operational tactics to understand the truth behind the complex motives of the all-powerful Patriots and their mission to create a global war economy. Theme with pre-order. The highest rated sports franchise over the last 8 years (according to Metacritic) is back and better than ever. MLB 14 The Show captures the most exciting moments in baseball with improved gameplay physics, faster ways to play, and the most amazing visuals ever seen in a baseball video game. So get ready to step up to the plate, to the greatest sport ever played. Which just got better. Welcome to The Show. Theme with pre-order. TowerFall Ascension is the definitive version of the hit archery combat game. Inspired by classics from the golden age of couch multiplayer, it’s a local party game centering around hilarious, intense versus matches. The core mechanics are simple and accessible, but hard to master and combat is fierce. Loot treasure chests for game-changing power-ups, master the art of catching arrows out of the air, or descend on your foes and stomp them into submission. TowerFall is best played competitively with friends, cross-legged on the floor within punching distance of each other. Developed by FROM SOFTWARE, Dark Souls II is the highly anticipated sequel to the punishing 2011 breakout hit Dark Souls. The unique old-school action RPG experience captivated imaginations of gamers worldwide with incredible challenge and intense emotional reward. Dark Souls II brings the franchise’s renowned difficulty & gripping gameplay innovations to both single and multiplayer experiences. Join the dark journey and experience overwhelming enemy encounters, diabolical hazards, and the unrelenting challenge that only FROM SOFTWARE can deliver. Vessel is built on an optimized liquid simulation featuring flowing water, scalding lava and steam, reactant chemicals, glowing goo, the mysterious ‘protoplasm’, and more. Each liquid has unique properties and mixes with other liquids for dramatic effects. This week we have new content from Lady Gaga, Rascal Flatt and British indie rock band, Kaiser Chiefs. Also check out our awesome selection of free content each week. Watch Qello Concerts on PS3. Get $10 credit for spending $60 or games, movies and TV shows in the PlayStation Store! Click here for details. If you qualify for the $10 credit, you will receive the code through email or XMB message on or before 3/24. You will need to redeem that code by 3/31, so don’t forget! Can we not let ppl wait this long for an update again. Makes me not wanna buy digital. Thanks for your patience! We’ll continue to target Tuesday at 2PM Pacific for each week’s PS Store update, and we’ll let you know via @PlayStation on Twitter if that ever changes. Prepare for the onslaught of whiners lol. The “spend $60, get $10 back” promo is back?!!! All is forgiven, Grace and Team!!! Really glad the update is live, but I do have to gripe a little. You really should do more to communicate with us. It’s no fun being left in the dark and, sadly, this isn’t the first time this has happened. That being said, still love PlayStation and no money in the world would convince me to go back to XBox. Nothing for me, mmm… maybe CoD stuff, see you next thursday. Out of curiosity, do you compensate developers for lost revenue when an update is as delayed at this one was? Is MGS5: GZ pre-order available for the PS4 version? Question, how come Infamous 2 is cheaper than Infamous 1? No PS4 preorder for Metal Gear? Is Metal Gear Solid V Ground Zeroes not gonna be available to preorder on the PS4? Please answer my question!! Is Final Fantasy X/X-2 HD Remaster gonna be available digitally on PSN on the 18th? Vita titles are always available digitally on day 1, so yes on that platform for sure! Why Metal Gear is not for preorder on PS4? MGSV: GZ + FFX|X-2 HD Remaster = U$60,00 \o/ 60/10 OK! Your link to this article on the main slot on the homepage is wrong (pointing to 2014/03/11 instead of 2014/03/13). Thanks siriusbee, I’ll let the blog guys know! Caught this around the same time you did. Thanks! Any chance for Dantes Inferno sale for the psp? 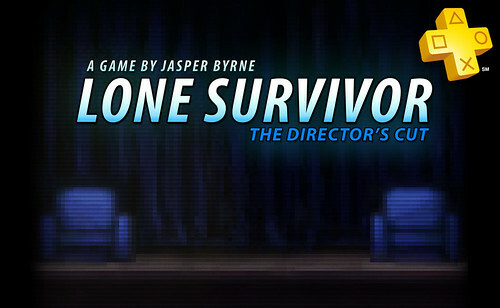 Would love to play it one my vita. Thank you, Sony, for the *cough* frequent updates throughout this incredibly difficult process of updating the store. Your customer service is *cough* superb! We want Metal Gear PS4 Preorder!!!!! If you Pre Order Metal Gear Solid: Ground Zereos PS3, do you get a copy of Metal Gear Solid:Peace Walker PS3 ? On the brightside, now we only have to wait 5 days for the next store update? Still no Pinball Arcade packs? Argh… alright, just Vessel this week for me. i reserved MGSV: GZ but the PSN US will not have Peace Walker being a bonus? I was only told of a theme preorder bonus, haven’t heard anything about Peace Walker. Man, I would have waited to buy Dark Souls 2 if I would have known the $10 promo was coming back. I preordered it. I also didn’t seem to get the preorder weapon pack. Double stiffed. Is there any chance of refunding the discount to those who paid full price for Towerfall? Playstation has been advertising that it would be $11.99 at launch, but it received that discount two full days later. Thoughts? What happened to “Putty Squad”? ah scratch that it’s fixed :) thanks for update. Will US PS Store a pre-order bonus on MGSV like europe has, buy it ang get Peach Walker HD? Will the Spend $60 Get $10 deal until the 18th till 11:59 PM PT? I’d like to buy Final Fantasy X/X-2 HD Remaster and would like to know if that will count towards my total if I buy it on Tuesday. It is my understanding that it will run through the day like previous promos of its type. Good question. I also would love a PS4 pre-order for Ground Zeroes. That Infamous collection is tempting. I’ve never played any of those games before, but I had fun with a demo once. Any word on whether or not the US Playstation Store will offer the MGS5: Ground Zeroes pre-order with a free copy of MGS: Peacewalker HD deal like the UK Playstation Store? I was gonna wait until a Ground Zeroes/Phantom Pain bundle comes out someday before jumping into MGS5, but if the US store had that Ground Zeroes/Peacewalker HD promotion deal then I’d be all over it! You guys need to support PS4 more. 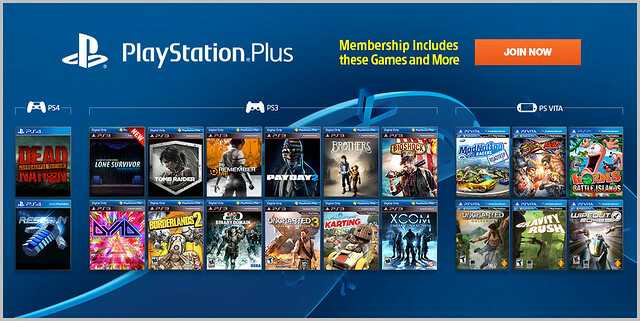 You need to add AAA games to the Playstation Plus rooster instead of little indie games. I love how I keep telling you guys that the Call of duty black ops 2 season pass is not priced right. still at $39.99. but hey ignore me all you wan If you dont care then I dont care. Keeps me from spending money. Only waited 2 extra days for the sales. I’m done making comments or doing the whole Twitter thing. I had CS check your account and all looked in order. Not sure why you’re seeing it at $39.99. well its nice to see you again Mr Psn Update. felt like years. lets see what we got. MGSV: GZ pre order bonus is a THEME. Fail. @Kristine Steimer Thanks, I meant for PS3. So EU PSN gets both digitally and we only get Vita? I hope its available for PS3 Digitally!! I just meant I’m not sure about the PS3 version, not that it isn’t coming! I just know that Vita titles are always day 1 digital, so it’s definitely possible the PS3 version will be there too, I just can’t really confirm it as I don’t know. From now on when you have a delay someone needs to post on this blog what’s going on. This is the first mention about the problem on here. A couple of tweets from more than a day ago isn’t really good enough. Someone should link the Twitter feed on this blog too so everyone knows about it. I see sites with that feature all the time. Just a section of the main screen displays the last few tweets. 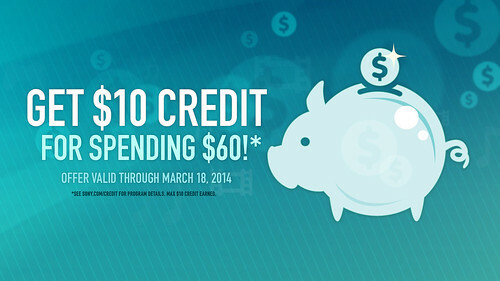 The spend $60 get $10 back promo has been going on since March 11. I’m 100% confident that Final Fantasy X|X-2 HD Remaster on PS3 is a day one digital on Tuesday. No worries, we still love you PlayStation. As they say, **** happens. Thanks for updating us. I just want some Kingdom Under Fire 2 news for PS4. WELP. What a disappointing wait. Maybe MGS GZ preorder, but no FFX l X-2 HD Remaster Preorder? That makes no sense. Gotta go retail with that. Hopefully next Tuesday-Thursday will be a better update. Thanks for at least getting it up tho this week. No FF X|X-2 HD digital on PS3????? I noticed Canada wasn’t mentioned as one of the countries in the spend $60 get $10 promo. Are we being overlooked or getting looped in together with the US?